Brains come in to the world, so to speak, expecting to be bombarded with language at an early age as part of their organizing principle, and human brains that don’t get that experience, in effect, are not getting the normal nutritive experience …. Dr. Michael Merzenich: … in the human case, the listening experience of the brain is overwhelmingly dominated by language experience. It’s a powerful, language is an incredibly powerful, experential source in the average kid. So, these early acoustic processing abilities set our brain up for how we’re going to organize the incoming world. We need our own physical environment to stimulate our brains and for language users, in order to break the code for language (which ultimately is a phonemic code, at least for the English language; it’s very much a phonemic code for our written language as well) we need to be able to organize the sounds that we hear very quickly in time because the acoustic changes that tell us which speech sound we have just heard are frequency and amplitude changes that occur quickly in time. Dr. Reid Lyon: On the neuroscience side we know that little ones’ brains are moving much more robustly than we ever thought. As you know, at six months of age every kid who’s coming along okay in every culture, using every language, can receive and produce every consonant and vowel of every language, even if the language they will ultimately use doesn’t contain those consonants and vowels. That’s a hefty brain. We know that kids by eighteen months of age will start to learn nine new words a day, at least every day. Amazing. It’s an amazing proliferation of not only neuronal capacity, but also of the behavioral stuff that the neurons push. The results of this experiment demonstrate a highly significant positive correlation between maternal speech clarity and infant speech perception performance. This reasoning is compatible with recent findings showing that higher levels of speech discrimination in individual infants early in life significantly predicts advanced later language skills (Benasich & Tallal, 2002; Molfese & Molfese,1985; Molfese, 2000; Tsao et al., 2003), suggesting that efficient phonetic processing early in the first year of life assists subsequent language development. The data provided here, demonstrating a relationship between maternal speech clarity and infant speech perception, allow one to advance the argument that during this early formative period of development, higher clarityin maternal speech assists infants in discovering the appropriate acoustic cues and developing neural networks that code this information. Total number of words mother’s used at 9 months predicted vocabulary – Further, we found, on average, the total number of words mothers used in 10 minutes predicted children’s vocabulary comprehension at 12 months, controlling for age (r=.87, p=.004). The pattern of results, however, suggested that mothers’ total number of words while engaging in caregiver contingent comments was driving the effect. Specifically, vocabulary comprehension at 12 months of age was associated with mothers’ total words when engaging in contingent comments at 9 months (r=.89, p=.004), but not mothers’ total number of words within other child-centered acts and child-directive acts. Regardless of SES, more complex and richer maternal speech was associated with more rapid vocabulary development in children. The central finding of this research was that the effects of the complexity and richness of their mothers’ speech fully explained the SES-related difference in the children’s vocabulary use. Newborns have an innate capacity to differentiate speech sounds that are used in all the world’s languages, even those they have never heard and which their parents cannot discriminate. But later in the first year they lose this ability as they become perceptually attuned to the language they will learn. By age 3, a child is forming simple sentences, mastering grammar, and experiencing a “vocabulary explosion” that will result, by age 6, in a lexicon of more than 10,000 words. We found the developmental path of symbol-infused joint development began at 18 months when toddlers readily communicated with their mothers about immediate objects and events, rose rapidly over the next six months, then plateaued at 30 months, when symbols were routinely integrated into most interactions. This path varied depending on when a toddler began to speak. Toddlers who were relatively early language users sustained symbol-infused engagement more often than their peers. In contrast, toddlers with very limited vocabularies at 18 months were less likely to sustain symbol-infused interactions, although they did gradually catch up to other children. Not surprisingly, we found that language skills at 18 months predicted language use at 30 months. More interestingly, we found that knowing how often toddlers sustain symbol-infused engagement from 18 to 30 months significantly increased our capacity to predict variations in latter language skills. Individual differences in child language at 24 months and child verbal IQ at 48 months predicted unique variance in performance on the false-belief tasks at 48 months, although only the early language factor findings were statistically significant. 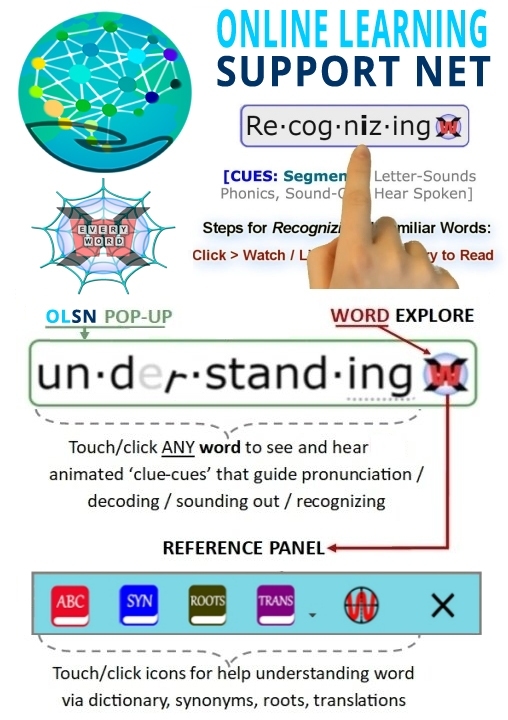 These findings demonstrate previously unobserved relations between early language and later acquisition of complex concepts related to mind. Dr. Todd Risley: We gave all of the children the Stanford-Binet IQ Tests at age three. The relationship between the amount of talking they heard, amount of parent talk, was related .6 to the child’s vocabulary size. Now, when we refine that look, where we eliminate the business talk and only look at the extra talk, the extra talk above business talk, as correlated with the Stanford-Binet IQ Test, was related to the child’s IQ test scores by .78. Now, you can’t get any higher than that because remember the test/retest reliability of the Stanford-Binet is .81. David Boulton: That’s about a strong a correspondence as you could get. Dr. Todd Risley: Our test reliability was .967, something like that, depending on what you measure. So, you multiply those two together and that’s as much of the variance as you can get out of that data – a ‘strong’ relationship. Data from the Children of the NLSY79 (CNLSY) are pooled together across survey waves, 1986–2000, to provide an unusually large sample size, as well as two or more observations at different time points for many children, recorded at single months of age between 36 and 156 months. We fit a variety of multilevel growth models to these data. We find that by 36 months of age, large net social class and Black–White vocabulary knowledge gaps have already emerged. By 60 months of age, when kindergarten typically begins, the Black–White vocabulary gap approximates the level it maintains through to 13 years of age. Net social class differences are also large at 36 months. For whites, these cease widening thereafter. For Blacks, they widen until 60 months of age, and then cease widening. We view these vocabulary differences as achieved outcomes, and find that they are only very partially explained by measures of the mother’s vocabulary knowledge and home cognitive support. We conclude that stratification studies as well as program interventions should focus increased effort on caregiver behaviors that stimulate oral language development from birth through age three, when class and race gaps in vocabulary knowledge emerge and take on values close to their final forms. Children are trained up to the family-specific pattern of language use, and it is variation in those family-specific patterns that largely determine the different vocabulary trajectories observed for children of different social classes. The authors performed a randomized, controlled trial to assess the impact of the Video Interaction Project (VIP), a program based in pediatric primary care in which videotaped interactions are used by child development specialists to promote early child development. Ninety-three Latino children (51 VIP, 42 control) at risk of developmental delay on the basis of poverty and low maternal education (none had completed high school) were assessed for cognitive and language development at age 21 months. Results differed depending on the level of maternal education; the VIP was found to have a moderate impact on children whose mothers had between seventh and 11th grade education (approximately 0.75 SD for cognitive development, 0.5 SD for expressive language) but little impact on children whose mothers had sixth grade or lower education. Mendelsohn, A., Dreyer, B., Flynn, V., Tomopoulos, S., Rovira, I., Tineo, W., Pebenito, C., Torres, C., Heidi, M., Nixon, A. Source: Journal of Developmental & Behavioral Pediatrics. 26(1):34-41, February 2005. This study examines sources of individual variation in child vocabulary competence in the context of a multivariate developmental ecological model. Maternal sociodemographic characteristics, personological characteristics, and vocabulary, as well as child gender, social competence, and vocabulary competence were evaluated simultaneously in 126 children aged 1;8 and their mothers. Structural equation modelling supported several direct unique predictive relations: child gender (girls higher) and social competence as well as maternal attitudes toward parenting predicted child vocabulary competence, and mothers’ vocabulary predicted child vocabulary comprehension and two measures of mother-reported child vocabulary expression. In a series of analyses, we were able to predict the children’s scores on emergent literacy, vocabulary, and narrative production on the kindergarten SHELL (the School-Home Early Language and Literacy battery; see Snow et al. (1995)), from a variety of sources, including home interview information concerning home support for literacy, as well as some measures of decontextualized language and rare word use by mothers; classroom quality, extended talk, and vocabulary in preschool; and classroom quality in kindergarten. In combined regression analyses, science process talk, home support for literacy, and kindergarten classroom quality explain 35% of the variance in the scores on the narrative production task; home support for literacy and rare words in mealtimes and toy play explain 27% of the variance in emergent literacy; and home support for literacy, rare words at mealtimes and toy play, and kindergarten classroom quality explain 50% of the variance in the vocabulary measure (Dickinson, Snow, Roach., Smith, & Tabors, 1998).